Conducting a basic SEO audit for small businesses helps to figure out the current search engine optimization state of particular websites and inform the next course of informed action. Like a financial audit, a search engine optimization (SEO) audit is meant to pinpoint the exact, current situation as far as a website’s SEO friendliness goes. You can conduct one to determine if you have implemented basic search optimization techniques so you know what needs to come in and what needs editing out. A simple SEO audit for your small business can help reveal strengths, weaknesses, opportunities, and threats to your SEO strategy. If you are wondering how to get one done yourself, here’s a quick primer to get you SEO auditing like a pro before contacting a Ventura CA SEO company. Check that the URLs are in lower case, link from the homepage, and accurately describes the content on the page it’s meant for. Audit page titles to ensure they are between 35 to 65 characters, include primary keywords, and are aptly named; for example, ‘Service’ for the services page. Check content headers to see if H1, H2, and H3 headers are accurately arranged with a mix of primary and secondary keywords. Be sure to check your internal linking per page to ensure they lead where you intended and anchor text relevance. The major auditing factor you want to nail here is to determine what sites the inbound links on your site are coming from. You can do these with a several free or paid tools or hire an SEO company Ventura CA service to work out the valuable ones from spammy links that can lower your online reputation and cause a Google Penalty—which would be a nightmare for SEO. You want to check that your meta descriptions are not keyword stuffed—if you have a meta description per content page in the first place. See if they strike the 140 to 160 characters threshold, too. Also, see if they have the primary keyword towards the start of the description. These are just starters to get you started in earnest. This entry was posted in Web Design Posts on by Seo Tuners. The main idea behind every website redesign project is the purpose to exceed current search engine optimization (SEO) factors. All you need is a faster-loading website, relevant and better-looking for your branding campaign. This is facilitated by a website structure that helps capture leads by being easy to navigate and further find valuable information effortlessly. Ultimately, you want your site to attract, convert and retain more leads and customers. And your website development services, Ventura should be aware of it. The worst website redesign mistake your SEO services provider can make is to create a site that performs worse than the previous version. Here are some you’ll want to avoid right from the beginning to maintain your SEO advantage. Failure to conduct an initial SEO audit means you and your website developer cannot retrace what worked (and to what extent) and what did not before and after the development phase for comparison. Make sure you maintain high performing elements intact. Also, keep note of elements such as image names, keywords, long-tail keywords, SEO plugins, and high-quality links on well-performing website pages for reuse after the development phase. Changing or removing pages or website page URLs (domain names) without redirecting them to relevant landing pages disconnects the site from search engines, leading to decreased indexing, visibility, and website traffic. If you have a large website, permanently redirecting all of its pages to the new one, it can be tough and time-consuming. Instead, conduct a 301 permanent redirect for the most important landing pages such as the homepage, services, about and testimonials pages. Most redesigns focus on adding more features instead of functionality. For example, you do not want to just focus on good looks at the expense of loading speed. Depending on the level of expertise your choice of Ventura website development services offers, adding more website features, especially aesthetic ones, often compromises a website loading speed, ease of navigation, and more essential functionality. Allowing search engine crawlers to crawl your unfinished site will cause the finished site to decline in ranking as the crawlers consider it duplicate content, of secondary importance, and thin content. Avoiding these basic website redesign mistakes will help you maintain your SEO advantage even after making major changes to your current website pages. Ultimately, you’ll want to choose the website development services Ventura has to offer if you prefer professional Ventura SEO services’ help in making the essential changes or recouping the lost SEO advantages. This entry was posted in Advertising, Local, Marketing, SEO on by Seo Tuners. Are you making these drug rehab marketing mistakes? Here are smart, simple and executable ways to rectify them. There are a lot of people out there that need your help to overcome their substance abuse addiction. In 2015, the Substance Abuse and Mental Health Services Administration (SAMHSA) reported nearly 21 million Americans beyond the age of 12 had a substance abuse problem. The SAMHSA report (updated for 2015) also showed only about 11% of this number gets help at addiction treatment centers. With prudent drug rehab marketing, you can reach this target audience and offer your addiction treatment solutions. But many drug rehab lead generation efforts lack the essentials of getting sensible ROI (if any). Here are just eight mistakes you do not want to commit in your drug rehab marketing campaign to boost business and get ahead of the competition. With over 14,000 drug and alcohol addiction treatment centers in the US alone, you need to stand out from the crowd with a unique selling proposition if you are to attract and earn more business. Do you have a specialty? A drug rehab center for only men or women? With about 50% of substance abuse victims suffering from a mental disorder or have developed one, do you also offer additional mental health treatment and recovery? You’ll want to clearly and honestly let your target audience know of your drug addiction recovery success rate, addiction treatment philosophy, and how qualified your addiction treatment center professionals are. HubSpot found 97% of all searches online are made with an intention to find local businesses. Over 68% of searchers checked out a business’s official website before calling in. An attractive, easy to navigate, informational, and responsive website serves as the basis for any sound digital marketing campaign for a drug rehab center. If you do not have a website, you miss the online visibility and landing platform you need to earn trust, organic leads, and more customers. Generating organic addiction treatment center leads can be tough, but buying untargeted and unqualified rehab leads can be even more costly, time-wasting, and destructive to your brand reputation. Maybe you have a website, blog and several social media accounts registered. But you do not provide high-quality, useful, and evergreen content on a consistent basis. You’ll want to help your target audience understand how you can help them, why you are qualified to help them, and that you actually care about helping them get their life or their loved ones lives back on track. Do you have a solid drug rehab marketing plan? Are you aware of the opportunities available in multi-channel marketing for rehab lead generation? A solid plan goes into detail about what you want to achieve as an addiction treatment center, your most relevant and targeting drug rehab marketing channels, branding plan, and how to implement the entire plan. You can as well get help nailing the details from a professional drug rehab marketing agency or service. Many treatment centers do not have a defined marketing budget for their drug rehab. But you do not have to have more than $10,000 to start setting a marketing budget aside. You can start at whatever financial situation you are now with digital marketing, which is comparatively cheaper to traditional methods such as TV and print media advertising—yet offers higher returns. Furthermore, online marketing makes it easier to target drug and alcohol addiction patients without ramping up stigmatization-based resistance. Even the best online business directories offer free listings to any interested business. Surprisingly, most businesses’ online directory listings are unclaimed. Yet showing up in a Google My Business (GMB) spot can rank your rehab center high up on local search results, increasing the number of quality leads visiting your website, making contact, and converting to paying customers. Like buying rehab leads straight-up, always choosing Pay-Per-Click (PPC) solutions can leave you with a poor understanding of your target customers, decreased inquiries and, ultimately, customers hence poor business performance. Email marketing and content marketing offer two of the most affordable, profitable and simple rehab marketing channels for attracting targeted, high-quality, and conversion-ready customers. Need help with all these and more? This entry was posted in Advertising, Content, Local, Marketing, SEO on by Seo Tuners. SeoTuners is honored to be speaking at the Ethical Marketing Practices (EMP) Addiction Conference on January 22, 2019, in Costa Mesa, CA. This conference is designed for professionals that run addiction treatment programs, including CEOs, marketing directors, and outreach coordinators. By learning about the latest trends in business and marketing, you can take charge of your digital strategy and survive the changing laws and regulations in the California Treatment Center space. Fourteen EMP Series addiction conferences have been held over the years in Florida. These events have been successful in helping addiction treatment center executives learn and understand the laws, regulations, and restrictions in Florida. Similar to what happened in Florida, California is now facing new rules and regulations to address the drug and alcohol epidemic as well as patient brokering and unethical treatment practices. Each day in CA, 11 people die from drug abuse. Experts estimate that roughly 3 million people have substance abuse issues, and over 40,000 emergency room visits are drug-related. Substance abuse is costing our economy millions of dollars. Some drugs are made in illegal laboratories, but many others come from global shipping ports. These ports make it easy for drug smugglers to move illicit drugs into our country and distribute them in California. When drugs are readily available, it increases the chances for experimentation among our youth. Once a person starts abusing drugs, they can easily become addicted. The only way to stop addiction is with a comprehensive drug rehabilitation program. Whether you are a CEO, COO, director, outreach coordinator, marketing or executive professional, you have a lot to learn from the upcoming California Addiction Conference EMP Series. Key business and marketing thought leaders will be attending, including SeoTuners. Your time will be put to good use! There are no boring 45-minute PowerPoint presentations. Instead, a panel of experts will discuss the latest trends in drug rehab SEO and take questions from the audience. It’s educational and personable. Learn about everything from drug rehab SEO to dealing with the insurance companies. The conference includes a catered breakfast and lunch, prize giveaways and five thought leader panelists. It is being held on January 22, 2019, in Costa Mesa, CA at Fete the Venue. The event starts at 9 am and runs until 2:45 when the prize drawings are done. By the end of the day, you will have a stronger understanding of what a healthy marketing mix is and how to fight back from the changes happening in California. Register for the event today - early bird prices only last until December 1, 2018! SeoTuners looks forward to seeing you there! This entry was posted in Local, Penalty Updates, SEO on by Seo Tuners. Keyword ranking changes primarily changed in relation to location tags. The prevalence and relevance of keywords tagged with locations – such as service providers in Dallas, etc. – changed dramatically in many industries, impacting where companies feel within local and general rankings. 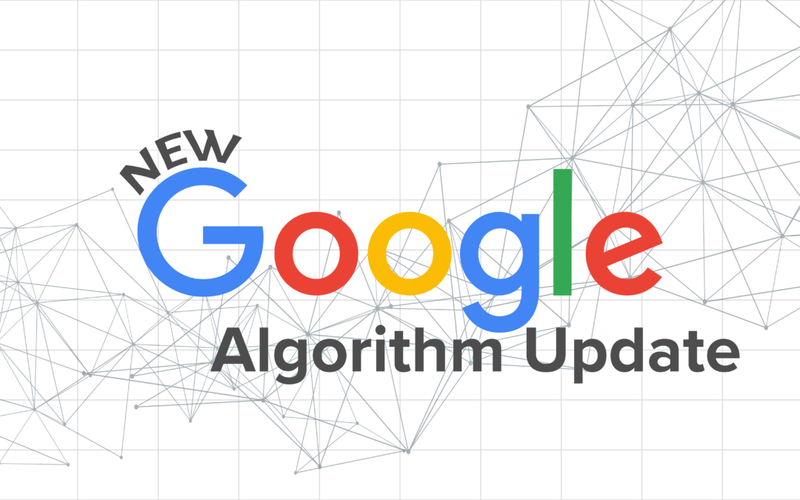 Links were not majorly impacted by the recent algorithm changes. The actual content on websites was more relevant to these changes than backlinks. As a result, SEO professionals are increasingly focusing on improving content and using keywords properly, rather than building links. The Google local optimization changes impacted both local and organic search results. The two were updated separately, but the gap between the updates seems to have had little impact on the overall changes. It is difficult to measure gains and losses when it comes to overall search results for many companies, since the changes that happened in local and organic searches often did so independent of one another. Some companies saw major local losses and organic gains, or vice versa. These discrepancies did not previously exist; most companies saw similarities or correlations between their organic and local results. The widening gap has impacted various industries differently. There was a time when video carousels – that little ribbon of several video options related to your search that pops up near the top of your results – were only offered when a search truly warranted it. However, the August changes created a much higher occurrence of these carousels being offered. Now, almost every search results in at least a few video options. Overall, sites owned by organizations and brands in or associated with the healthcare industry saw some of the biggest drops or movements in their traffic numbers. Sometimes referred to as “Your Money or Your Life” pages, the companies whose websites and services were the most impactful to consumers’ lives or security were the focus of the update since their focus is typically quality page content. This means that companies with YMYL-style sites saw the biggest movement in rankings. Why Invest in SEO for a Drug Rehab? This entry was posted in Advertising, Marketing, SEO on by Seo Tuners. Addiction rehab is an industry that is extremely competitive. While it’s unfortunate, it’s an undeniable fact that there is a constant and growing need for rehab programs in the United States and elsewhere. Thankfully, there are always plenty of new rehab facilities popping up to meet this need – but that means a lot of competition for those who are in the business of providing these services. How do you remain competitive enough to not only cover costs but remain profitable as a rehab facility? Investing in drug rehab SEO is an important part of staying competitive in the modern marketplace – and important in reaching the most people who need the services you are offering. Today’s patient often relies on the internet to find the services they need. While there will still be people who are referred to rehab facilities by their physician or a counselor, the majority will find their provider by relying on word of mouth, internet searches, or both. To help consumers find your facility, it’s important to have a website that is optimized for search engine queries. Having complete and accurate information available at all times is key; consumers should be able to search for your services and your location and have your site pop up as one of the most relevant search results. Making this happen is what SEO – search engine optimization – is all about. If you’re not sure how to optimize your company’s website for local consumers to find via searches, you’re not alone. Many companies struggle with this, especially when it comes to industries like medicine and rehabilitation. Working with an SEO professional can help you navigate the process and make sense of creating a better, more functional website that will lead your potential patients right to your check-in desk. By combining great website design, sure-fire digital marketing efforts, top-quality content creation, and overall optimization of every page your company uses, these professionals can make it easy for local consumers and their loved ones to find your facility. Drug rehab SEO is more than just a smart investment for your organization – it’s a necessity in the modern marketplace. Don’t let your local competitors steal business that should be yours or keep you from helping the people who need you most. Utilize the services of an SEO professional or team and make the process of finding your facility and services an easier experience for those in need. SEMRush is a top choice for businesses of smaller size and with less concern about international markets. Focused tools make it great for those just starting out. Founded in 2005, Searchmetrics was originally designed specifically for competitive analysis. It has since shifted its focus to content marketing performance over SEO, but the suite still offers you a look at all aspects of your overall optimization and performance against your competition. Spyfu has also been around for a long time in terms of the digital marketing world and offers a look at your strongest competition in local and worldwide markets. If you’re looking for diversity, iSpionage might be your best bet. Covering additional platforms like Yahoo and Bing and incorporating data from Google Australia, Canada, and other international markets, it offers more diverse data for business looking to monitor international competition and growth. SERPStat is a newer tool, with content and capabilities comparable to SEMRush and SpyFu. Ahrefs is beloved for being one of the best link tools available today. Its backlink data makes it excellent for analysis of the number of competitors you have based on keywords. If you need help understanding exactly how a website attracts traffic and how to put that to work for your business, SimilarWeb can help you do exactly that. When you need enterprise-level services to keep tabs on your competitors, BrightEdge might be your go-to choice. Its technology will help you identify what’s working for your competitors, so you can put it to work for your company, as well. Need more enterprise-level options than those available through BrightEdge? Conductor offers views of future SEO prospects and helps you plan for obtaining your goals in your local and worldwide markets. Once comparable to SimilarWeb, Quantcast recently switched their approach to offer enterprise-level clients personalized, custom reports on their own SEO footprint and competition. Jumpshot is a newer arrival to the SEO tracking and analysis market and is shaping up to be one to watch for clients of all levels. With accurate data sourcing and quality results, it may well make it to the top of many tool lists soon. With all these options, choosing the right ones for your business can be tricky. Contact us here at SEO Tuners for more information on SEO services in Ventura and about how to best utilize these and other tools to make the best of your SEO efforts – and maximize the returns you see.